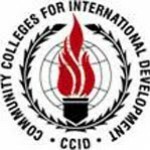 The primary objective of the Community Colleges for International Development (CCID) is to provide community college students with greater access to study abroad opportunities as well as unique professional development for faculty who have never created, or participated in study abroad programs. CCID offers programs in Beijing & Shanghai. The CCID Troika Study Abroad in China is currently providing a program that focuses on China's Economic, Social, and Cultural Impact due to Globalization. This unique Troika program is brought to you by CCID (Community Colleges for International Development, Inc.) as a membership service to your home college. In delivering this program, CCID cooperates with Shanghai Finance University (SHFU) and Beijing Union University (BUU) to bring you this life-changing experience. For several months in advance of the program, we work with your college instructors and the in-country partners to design a program which meets the academic objectives of the course you will be taking. On the program you will meet students from three community colleges from two other U.S. states. You will also interact with Chinese students and other locals.